In light of North Korea’s growing ballistic missile threat and Hezbollah’s growing arsenal, attention has been focused on the potential value of missile defense in a range of contexts. With news of a joint US-Israeli base focused on missile defense, more questions are being asked on how Israel is preparing to meet future threats like Hezbollah. At the same time, a new wave of think pieces has emerged suggesting that those charged with the defense of South Korea can learn from the progress made by Israel, particularly with its successful Iron Dome system. While these pieces are quick to note the differences between the two security situations, they often accept a superficial narrative on the success of Israeli missile defense. Before rushing to make claims about how missile defense will perform in the future, it’s worth looking at how the Iron Dome system has fared to date, and how these lessons may apply in the Korean context. In 2016, the RAND Corporation conducted an in-depth study on the conduct of Israeli operations in Gaza in 2012 and 2014, which highlighted the role of the Iron Dome missile defense system in those conflicts. We found three lessons learned that should be considered in broader discussion of tactical missile defense. First, Iron Dome did provide meaningful missile defense capabilities. Second, however, this success came at strategic costs. Third, we do not expect this success to endure in the face of learning adversaries whose capabilities are expanding. Thus, there are problems with depending on the system in both the short- and long-term, and we recommend a healthy dose of skepticism in any debate on missile defense. In the 2000s, and early 2010s Israel was threatened by a growing missile threat from Hezbollah and Hamas. Both groups amassed inventories of thousands of missiles, including systems that could penetrate deep into Israel. In the 2006 Lebanon war, these missiles were a major source of Israeli civilian casualties. Israeli planners worried that without a way of blunting these threats, future conflicts would impose even greater costs, both psychological and physical, on the Israeli citizenry, as well as damage bases and assembly areas, thus limiting Israel’s ability to project force. Traditionally, Israel has taken a layered approach to missile defense. Preventing conflict by deterrence is always the first line of defense. In the event that conflict does break out, Israel seeks to destroy launch capabilities, then falls back on active defense to stop missiles in the air. When missiles make it through this screen, the Israelis rely on a passive defense system composed of infrastructure and a civil defense network that includes early warning systems to minimize the damage. Operations in 2006 demonstrated that it was difficult to destroy a sufficient number of launchers to prevent significant damage within Israel, and more attention needed to be devoted to active and passive defense. Iron Dome was the most notable of the active measures that would come online in the following years. The Iron Dome system is a dual-mission counter rocket, artillery, and mortar (C-RAM) and very short range air defense (V-SHORAD) system used to target and destroy missiles with a range of about 7–70 km. The system is designed to protect high-value infrastructure by targeting only those missiles aimed at the specific areas with interceptor warheads which explode within a meter of the threat to destroy incoming missiles. Two elements of Iron Dome gave it an advantage over traditional approaches to missile defense. 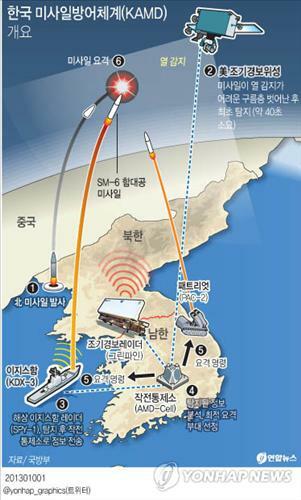 First, the new system allowed very precise tracking of incoming rockets. As a result, defenders could pick and choose which rockets to fire at, saving rounds and minimizing collateral damage. Second, the interceptors were relatively cheap, encouraging users to experiment in peacetime to fine-tune the system. While there has been substantial debate over both claims, it was striking that among the Israeli experts, even the most critical thought Iron Dome performed better, for less money, than competitor systems. The worth of missile defense was demonstrated in the course of the two most recent conflicts between Israel and Hamas, 2012’s Operation Pillar of Defense and 2014’s Operation Protective Edge. Over the eight-day Operation Pillar of Defense, Hamas and Palestinian Islamic Jihad fired more than 1,456 rockets into Israel, averaging about 215 rounds per day. In 2014, Hamas and other organizations launched a total of about 4,500 rockets and mortars from July 8 to August 26. While the rate of fire was about half of the average rate seen in Pillar of Defense, it was sustained over a much longer period of time. In both conflicts, Hamas targeted major urban centers, including Tel Aviv and settlement blocks in greater Jerusalem; and high-value infrastructure, including Israeli airports and military bases. Iron Dome was able to meaningfully reduce the impact of these rockets, particularly for civilians. During Operation Pillar of Defense, officials estimated that Iron Dome intercepted as many as 85 percent of the rockets it targeted, and rockets only caused six civilian deaths, compared to 44 casualties in 2006. Increases in the number of batteries and interceptors, as well as technical refinements to the systems and tactics increased that success rate to more than 90 percent of the rockets targeted in the 2014 campaign. Only two individuals were killed in rocket strikes and about one-sixth as many claims were submitted to the Israeli government under its insurance program in 2014 as in 2006, despite a similar overall number of enemy rockets. Put simply, across both conflicts, the effect of Hamas rockets, particularly on day-to-day civilian life, was substantially blunted. These tactical benefits came with unintended strategic costs for Israel. First, effective missile defense created the perception of a disproportional conflict, in which Palestinians suffered while Israelis remained relatively safe. This complicated the process of justifying the conflict to the international community. Second, and more worrying, the use of the Iron Dome system changed strategic and political prosecution of the campaign in ways that may have denied Israel decisive victories. These unexpected strategic costs are often overlooked in analyses of the system. ...effective missile defense created the perception of a disproportional conflict, in which Palestinians suffered while Israelis remained relatively safe. This complicated the process of justifying the conflict to the international community. Successful missile defense shifted the international political response to the conflict. In both Pillar of Defense and Protective Edge, the largely unharmed Israeli population contrasted sharply with media images of destruction in Gaza, bringing about increased international condemnation. As one senior Israel policy maker argued to the RAND team, Iron Dome “is a blessing because it buys Israel time, but Israel needs an excuse for why they are killing Palestinians in operations... When Iron Dome works so well and so few Israelis die, Israel loses the justification for the operation.” Hamas was able to capitalize on this by positioning rocket launchers and other key assets among dense civilian infrastructure like apartment buildings, schools, and medical facilities in order to provoke increased collateral damage. While Israeli forces took extensive pains to document their targeting practices, international reports like the UN Independent Commission of Inquiry on the 2014 Gaza Conflict show the international political cost Israel paid for the perception of disproportionate aggression. More than just shaping the image of war, Iron Dome shaped how Israel conducted operations in the conflict. In the past, Israel often needed to employ ground forces to successfully attrite the number of enemy launchers. This created a preference for the use of ground forces in combination with air power to achieve decisive effects. With Iron Dome reducing the risk to population centers, there was less pressure on political and strategic leaders to escalate the conflict. In 2012, Israel felt the threat could be mitigated by air power alone. In 2014, ground forces were deployed, but the decision was drawn out and the forces committed were fairly small in number. The strategic approach changed to attrition, rather than seeking quick decisive outcomes. In retrospect, analysts worry that the shift to a strategy of attrition denied Israel a decisive victory. As one IDF general officer remarked, “without maneuver [deeper into Gaza], your achievement will be very indecisive.” Uncertain results fed public dissatisfaction in Israel, even in the face of low civilian casualties. While these unsolved strategic problems may mitigate Iron Dome’s value in the short-term, in the long run the system faces an even more fundamental problem: in the future, adversaries will be better able to limit the effects of the system. Most analysts predict the system will be far less effective in future conflicts that dominate current Israeli planning. Partly, this is because adversaries will adapt and learn to circumvent the system. Despite technical improvements in the Iron Dome system, Operation Protective Edge demonstrated just how fast adversaries can develop new tactics to reduce the system’s effectiveness. In 2014, mortars with flight times too short for Iron Dome to target reliably caused casualties among Israeli forces. Hamas also attempted to overwhelm Iron Dome batteries with coordinated salvos, and enlisted regional allies to fire rockets from Lebanon, Syria, and the Sinai, forcing Iron Dome to cover a greater area in an attempt to spread the system too thin to be effective. Current assessments of Hamas capabilities suggest that in the years since the last war, they have continued to develop mitigating strategies, including lowering ballistic trajectories and improving precision. In the future, adversaries will likely be more prepared to face Iron Dome. As is frequently noted in considerations of Iron Dome in separate contexts, other adversaries are often more capable than Hamas. For example, the planning scenario for a war with Hezbollah involves 1,000-1,500 rockets per day fired at Israeli population centers. When looking at contexts like North Korea, this difference is even more striking. Current estimates suggest forward-deployed conventional artillery would be capable of firing 500,000 shells an hour for several hours, or firing tens-of-thousands of shells per day over an extended period. This rate of fire would easily overwhelm a variant of Iron Dome, which is currently being proposed as a solution. Furthermore, North Korean chemical weapons create threats that are much harder to defend against via air borne interception than the conventional explosives Iron Dome was designed to mitigate. The different context of a Korean conflict also poses other challenges to Iron Dome. Part of Iron Dome’s success has come from not targeting missiles projected to hit open areas in order to conserve interceptors. However, a dense population center like Seoul features little unoccupied space, and large numbers of civilian residents. As a result, trade-offs between which incoming rounds to target may be far more fraught than in the Israeli context, where rounds can be allowed to fall when they will hit open areas. With little ability to discriminate between rockets based on their likely geographic impact, it makes sense that more focus has gone into systems like Patriot and THAAD which target ballistic missiles. In effect, in Korea the choice has been to discriminate based on type of threat by focusing on higher end systems. More capable threats may be particularly problematic because of Iron Dome’s past success. Iron Dome was not originally designed to provide broad defense of civilian population centers—instead it was designed to provide targeted defense for specific high-value military installations and critical infrastructure. The relatively small threat of Hamas rockets allowed the system to be employed as a wide-area defense at the demand of political leadership over the past two conflicts, but this may not be viable against more sophisticated future threats, such as Hezbollah and Iran. Further, it is not clear that, once accustomed to a high degree of safety, the public will accept Iron Dome returning to its intended, more narrow mission. Tactical success in the short term may have created an assumption of long term protection that cannot be met when facing a more capable adversary in the future. Tactical success in the short term may have created an assumption of long term protection that cannot be met when facing a more capable adversary in the future. While Iron Dome’s past success makes it a tempting solution to future challenges, a careful look at the system’s success to date should engender caution. The system has performed well against an adversary with a limited arsenal of rockets, targeting relatively sparsely inhabited areas. However, even there, it has produced unexpected negative political consequences, feeding international perception of Israel as disproportionately aggressive and attenuating strategic ends to be less decisive. In future conflicts, even this mixed outcome may not be achieved, since more capable adversaries, such as Hezbollah, may neutralized the advantages of the system. These shortcomings are even more serious when considering using the system in a Korean context, where the threat posed is substantially greater, and the targeted terrain substantially harder to defend. Taken together, without dismissing the very real achievements of the Iron Dome system to date, we should be very slow to treat it as a solution to a broader set of military challenges. Elizabeth “Ellie” Bartels is a doctoral candidate at the Pardee RAND Graduate School and an assistant policy analyst at nonprofit, nonpartisan RAND Corporation. She is co-author of From Cast Lead to Protective Edge: Lessons from Israel’s Wars in Gaza.